The highly trained and ASE-Certified auto mechanics at Premier Automotive Services can provide you with the outstanding auto repair that you deserve. No matter what kind of Kia you drive in the Kent and Des Moines area, our auto repair specialists can help. We repair and service Kia minivans, sedans, and crossovers. 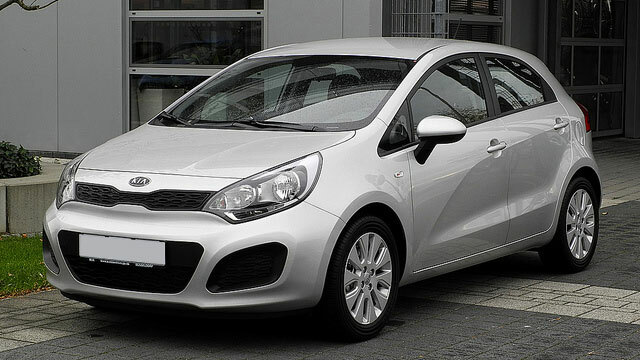 Here at Premier Automotive Services, we know that you drive a Kia because it’s fun, sporty, and an excellent value. If you’ve been driving around Kent and Des Moines we’d love you to come into Premier Automotive Services for excellent value, too. We want you to have fun driving, but we also want you and your family to be safe while driving your Kia. Why bring your Kia into Premier Automotive Services? There are many reasons. We like to set the expectation for your experience immediately and right up front. You might not know what to expect, so we explain everything. We do a digital inspection, send it to you, then we fix the problem. It might sound simple because it is! We want to do a good job, and we tell it like it is. You won’t get any surprises when you pick up your car. “We own a 1997 Toyota Corolla, and we take it to Premier Auto to have it serviced. For many years now, we've been dropping the 21-year old car off with Ryan and his team, and along with regular maintenance, letting them proactively fix what needs fixing. And we trust that they'll do it right, and they won't fix what doesn't need fixing. What a great feeling that is! They often don't find anything at all that needs urgent care, which was the case recently. Premier Auto most always exceeds my highest expectations. I can't say enough good about this business. Thanks!” -- Ann N.
Our technicians at Premier Automotive Services would love to service your Kia. Our guiding principle is to take care of our customers first. Why not schedule an appointment today? We are conveniently located at 25009 Pacific Hwy S, Kent, WA 98032. Our hours are 8:00 AM - 5:30 PM, Monday - Friday.